The Iowa Bicycle Coalition is an exciting organization working to promote Iowa cycling as safe and enjoyable recreation and transportation. 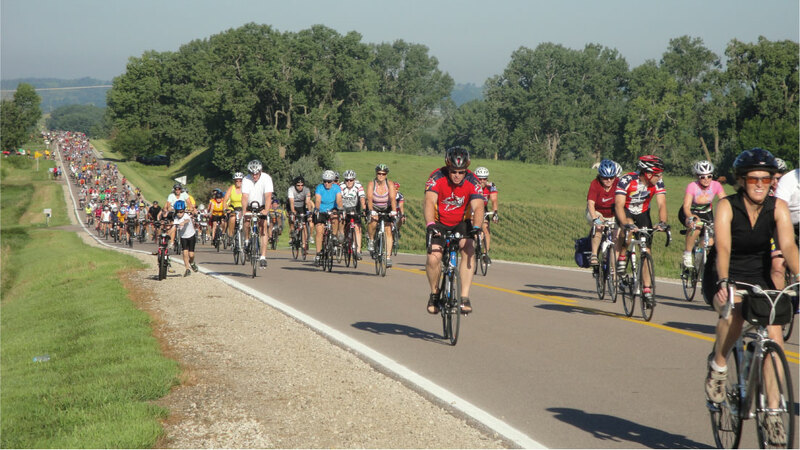 The 501(c)(3) non-profit group was launched by bicycling advocates from across Iowa and will unite the voices of road riders, mountain bikers, recreational riders, commuters, and anyone else who prefers a bicycle for recreation and transportation. The Coalition is bringing change to how kids get to and from school with the Safe Routes To School Program. Coalition staff provides training and support to schools state-wide on encouragement and education programs that help increase bicycling and walking. The Coalition provides an annual education conference geared towards transportation officials by bringing in a national expert to present on bicycle facility design. The conference also provides sessions for the grassroots advocate to ask for better cycling facilities in their communities. The Coalition works towards improving the safety of cyclists through safety education, community improvement, and encouragement activities. Our safety education program is based upon the National League of American Bicyclists’ curriculum. We work for implementation of complete streets. We foster encouragement activities such as Bike To Work Week. Anyone with an interest in Iowa bicycling can join the Iowa Bicycle Coalition. Membership in the Iowa Bicycle Coalition gives you a voice to determine the quality of bicycling in Iowa. There are countless volunteer opportunities that will make an impact on cycling in Iowa and in your own community.